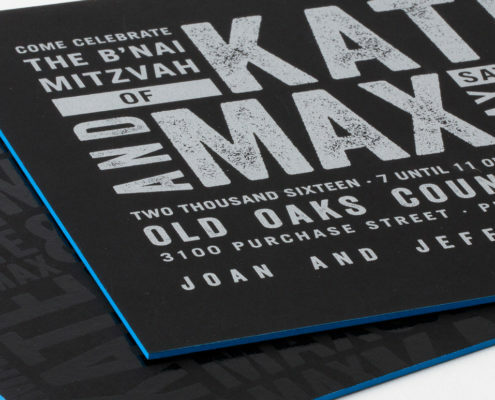 This week we are sharing a Bat Mitzvah invitation designed with typography and texture in mind. 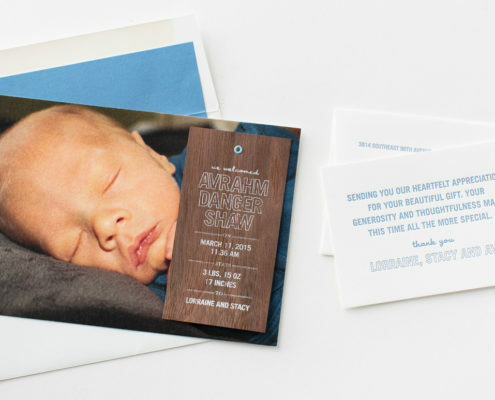 This oversized invitation included ceremony, party, reply and direction details, so there was a lot of text! The blend of sans-fonts in varying scale were divided into different sections to keep it organized and easy-to-read. 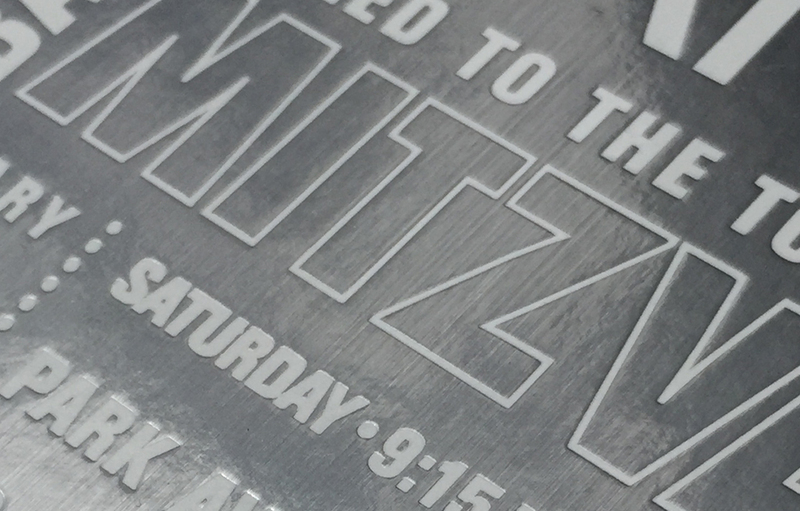 We kept the layout modern to let the texture of the gloss white ink pressed into brushed aluminum paper shine through. 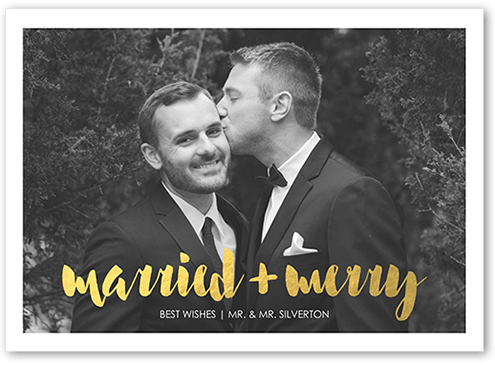 For added details, we backed the piece in pink silk paper and created a matching address labels for the white 5″ x 13″ envelope. 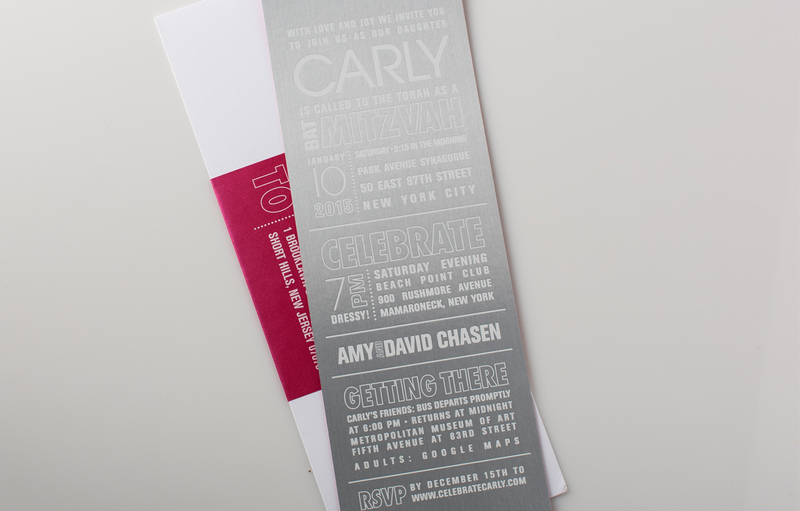 This modern Bat Mitzvah invitation suite was designed with retailer E.A.F Fine Papers in New York City.